Three main groove tread grooves and shoulder area water board rubber allows the water to roll off the side and anti-slip while cornering making cornering confidence. Tread design, the second row to Block independent, prevents slipping while braking and helps stop the car effectively. The size of the tire is rolling on each level to achieve the offset of the sound waves. This allows the occupants of the car to experience quiet and smooth driving. The Canvas class is a 90-degree angle supports good vibrations and provides a great driving experience. Purchase includes the Deestone R202 tire only. The wheel rim shown in the picture is not included. Picture provided is a stock picture from the manufacturer and may or may not reflect the actual product being ordered. 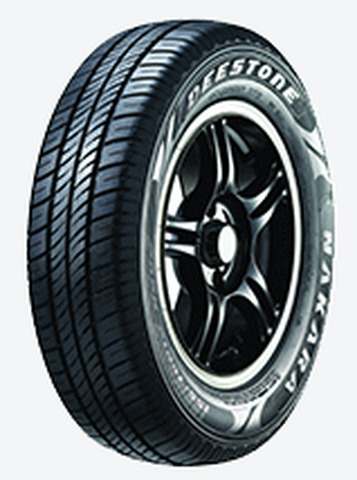 All Deestone R202 tires are continuously developing with manufactured improvements. With that said, Simple Tire and the manufacturers have the right to change these tire specifications at any time without notice or obligation. Please Note: Specifications of the Deestone R202 tires shown above are listed to be as accurate as possible based on the information provided to us by Deestone tires.